~G (gold) - book source: Jaroski-Graf J, 2000. ~G· (gold foil) - book source: Jaroski-Graf J, 2000. 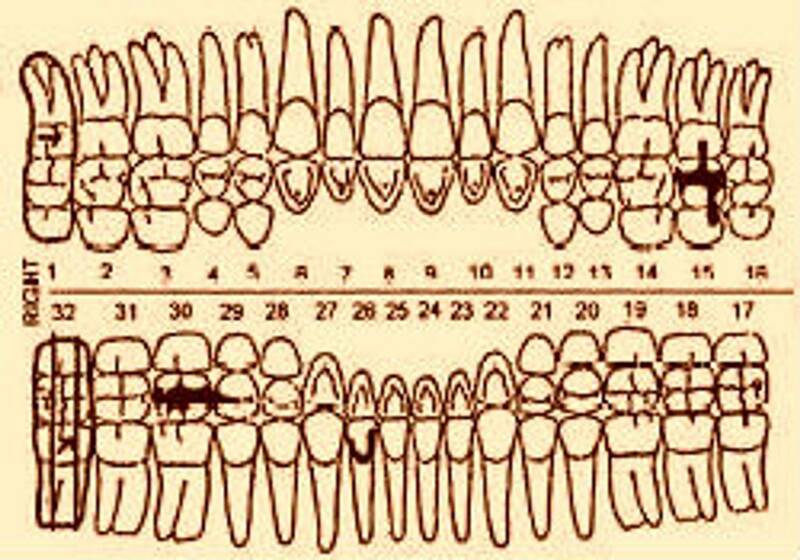 Sketch on the dental chart the location and extent of all fillings. For color distinction, use red for gold material.